Remember that shirt you once stole from your significant other’s closet? You know —the one he used to wear all the time? You threw it on one morning to grab coffee at your favorite spot just down the street and slowly over time, loads of laundry later, you came to realize his shirt has never quite made its way back to his side of the closet. You find yourself wearing it because it’s comfortable, despite it not being yours. It’s lived in. It reminds you of him. And when you find yourself missing him desperately, you throw it on because it smells like him, and it somehow helps erase the miles and hours that separate you. As for him, seeing you in his shirt? Well, that just makes him weak in the knees. His old shirt feels new again; made better with his favorite girl in it. If experimentation is the art of invention, then Le Labo is at the forefront of innovation, developing fragrances that trigger the same emotional response felt when wearing the shirt belonging to someone special. Since 2006, with perfume pioneers Fabrice Penot and Edouard Roschi at the helm, Le Labo has proven that thoughtful experimentation is indeed the art of invention. Le Labo has created a range of scents that evoke the intoxicating allure of something new and the confounding sense of the intimately familiar. For its efforts, Le Labo has established a strong cult following that includes the likes of Beyoncé, Alexa Chung, Emma Roberts, and all of New York City. prominent note and the number of compounds used to craft it. Peeling back the curtain on the science of perfume making, lab techs hand-blend scents for customers with a measured intention and craftsmanship, that until now 'luxury fragrance' has never been a more fitting description. Perfumes are meant to be experienced. For that reason alone, a visit to one of its labs is the only way to truly understand the alchemy behind this popular brand. For us, it’s Le Labo’s beautiful collision of cultures (Penot and Roschi are both French and began Le Labo while living in New York) and the conscious disruption of the way we experience the recognizable that has us under the influence. 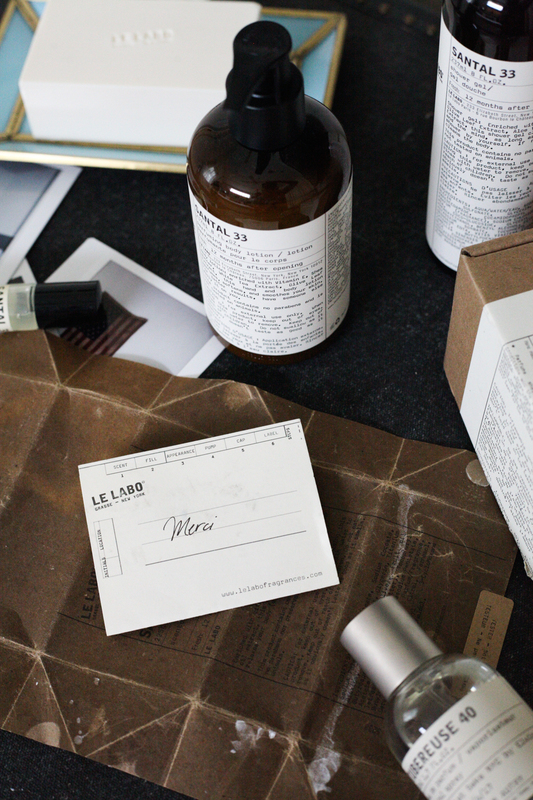 The appeal of Le Labo is a lot like that stolen shirt —a wardrobe essential you both can wear. But when you do, you think of each other. Isn’t that the point of a signature scent, anyway?